Friday's come around again - this one marks the day my boys break up for Easter and don't go back until April 18th. Son1 is on a WWI trip to Ypres, Son2 off sick with painful legs caused by Vitamin D deficiency, so their holidays have already started. My task - get Son2 out of the Technolair and into the sunshine, which is easier said than done. While I'm doing that, have a look at these stories and blogs I found (or wrote myself) in the past week. Lots of good stuff. If I missed your great blog post or news story, leave it in the comments and I can add you to my RSS feeds. 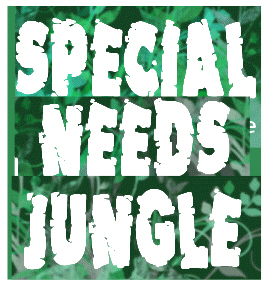 Special Needs Jungle: Unofficial exclusions – Has it happened to your child? On a fun note, there is a lovely new book out ‘The Wild Book’ by Margarita Engle chronicling her grandmother’s journey with dsylexia, a novel in verse. A real delight.